From Wednesday 19th to Saturday 22nd September the international Conference “The Words of Medicine: Technical Terminology in Material and Textual Evidence from the Graeco-Roman World” was held at the North-West University of Potchefstroom (South Africa). Sixteen scholars from around the world exchanged knowledge, research and experience, and worked together on the exciting field of ancient medicine and its technical vocabulary. Papers presented at the conference approached the topic from different perspectives and in different typologies of texts and sources – Greek medical authors, as well as non-medical texts, papyri of medical content, Latin prose and poems. While on this journey into the words of medicine, they have explored the degrees of technicality used to express medical concepts and issues, the socio-linguistic aspects of medical vocabulary, the (re)use of medical terms and images in Greek and Latin authors up to Late Antiquity, that is, the crossing of medical terminology into other literary genres, but they have also dealt with the material side of ancient medicine and its practice. 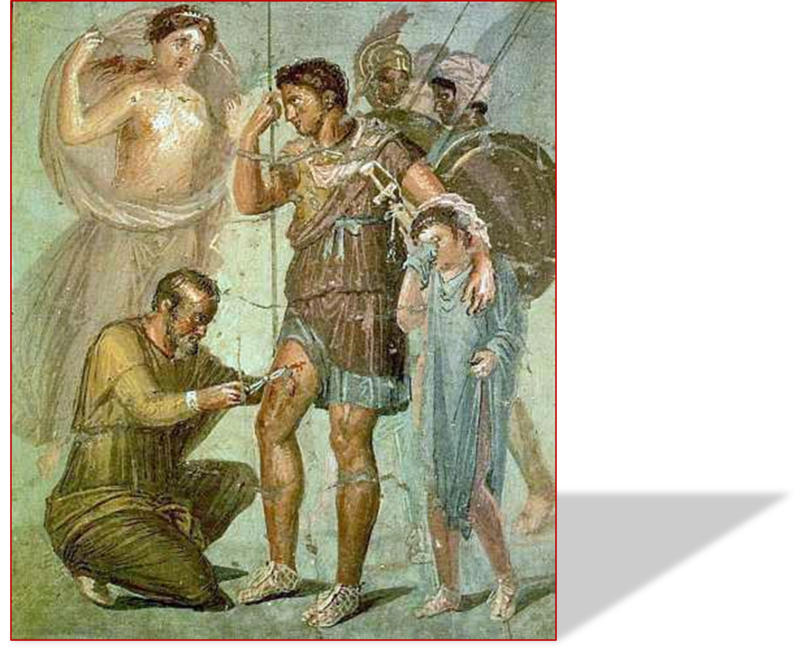 The deep interdisciplinary approach which has inspired the conference has proved to be fruitful to enhance our knowledge of the Graeco-Roman medicine and its technical vocabulary through the analysis of its sources, both textual and material. 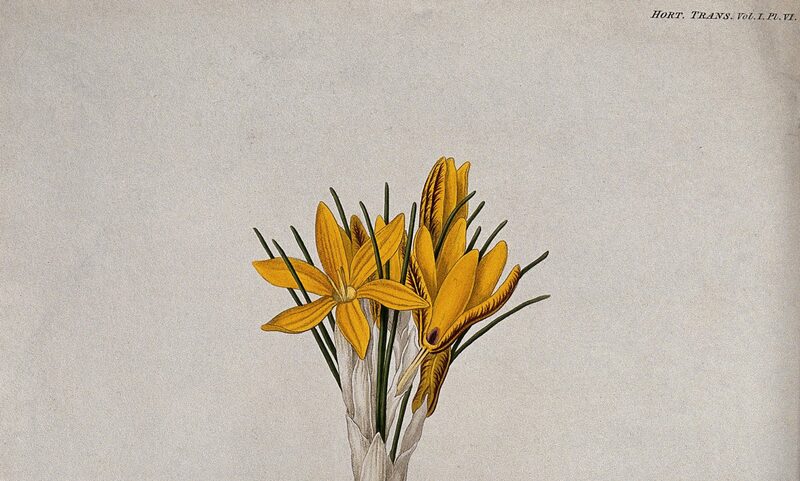 One of the aims of such an approach was to promote connections between disciplines also in a modern institutional context, given the relevance of the reconstruction of medical profession and health care of the ancient world for the Medical Humanities and, in general, Health Sciences. The main aim was to contribute to “revitalise” the past and to make it more accessible by rediscovering the medical terminology in its real and concrete dimension and allowing its issues to come alive, in a way that can improve our understanding both of the past and the present. On Wednesday evening, the Conference was opened by a cocktail reception and the Keynote address delivered by Stephen Harrison from the University of Oxford, who investigated the medical imagery in Horace’s poetry. The first panel, on Thursday 20th, was inaugurated by the Keynote address given by Alessia Guardasole from Paris-Sorbonne, who focused on a diachronic and contextual study of the technical vocabulary employed by Galen in his pharmacological treatises. As a second speaker of that session, Nathalie Rousseau from the same University scrutinised other remarkable aspects of the technical words of medicine according to Galen. 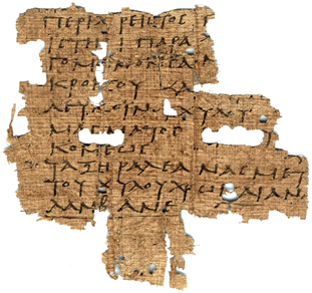 The second and the third panels provided an opportunity to explore the medical terminology and the medical practice in the Greek papyri from Egypt. Anna Monte from the Humboldt University of Berlin analysed the terminology of private letters on papyrus dealing with medical topics. Isabella Bonati from the North-West University of Potchefstroom, organizer of the conference, surveyed the medical words and the context of medicine in the ostraca from the Roman praesidium of Mons Claudianus, in the Eastern desert of Egypt. Francesca Bertonazzi from the University of Parma approached the technical vocabulary of surgery in the papyri focusing on some terms for “threads”. Dimitris Roumpekas from the University of Athens dealt with metaphors and medical terminology in the light of the papyri of Graeco-Roman and Byzantine Egypt. During the fourth panel, entitled ‘Illness and healing in Greek non-medical texts’, Caterina Manco from the University Paul-Valéry of Montpellier approached the medical terminology of Thucydides, and Maria Konstantinidou from the Democritus University of Thrace discussed the topic of disease and healing in early hagiographical texts. The day was concluded by a panel on ‘Technical terminology of specialized medical fields’. Jane Draycott from the University of Glasgow examined the vocabulary utilised in ancient Greece and Rome to refer to assistive technology, specifically mobility aids, in ancient textual evidence, and Tara Mulder from the Vassar College of New York approached the terms for uterus in ancient Greek medical and philosophical texts, early Christian writings, magical amulets, and Greek magical papyri. The sixth panel on Friday 21st discussed the medical words and their technicality in Latin prose. Cristoph Weilbach from the University of Leipzig analysed the presence of medical themes and the manipulative command of medical language in the epistles of Seneca the Younger, and Michiel Meeusen from the King’s College of London explored Gellius’ acquaintance with technical scientific knowledge and his use of medical terminology in some passages of the Attic Nights. The seventh session moved to the reuse of medical terms and images in Latin poems. Katharina Pohl from the University of Wuppertal dealt with Cassandra’s medicine-image in Dracontius’ De raptu Helenae, and Ezequiel Ferriol from the University of Buenos Aires with the trans-textual and trans-generic transformations in Quintus Serenus Sammonicus’ Liber medicinalis. The following day, the conference was brought to a close with the last session concerning diseases and disorders between literature and medicine. Matthew Chaldekas from the University of California-Riverside focused on melancholy as a technical term and literary model in Sophocles’ Trachiniae. Finally, a rich and stimulating discussion concluded this journey into the words of medicine that will result in the publication of a peer-reviewed volume.